The Asian Human Rights Commission wishes to express grave concern about the arrest, interrogation, and harassment of four academics and three students during a public lecture on 17 September 2014 at Thammasat University in Bangkok. This is the latest in a series of actions by the authorities in the four months since the National Council for Peace and Order (NCPO) overturned the civilian government in a coup on 22 May 2014. These actions constrict the freedom of thought and expression of individual citizens while simultaneously contributing to the creation of a broad climate of fear in Thailand. Since the NCPO took power, the junta has demonstrated a profound lack of respect for basic human rights principles, despite their repeated claims otherwise. On 17 September 2014, the League of Liberal Thammasat for Democracy (LLTD), a student organization, had organized a lecture in their Democracy Classroom series, titled “Democracy Classroom #2: Toppling Dictatorship in Other Countries.” The primary lecture was to be given by Nidhi Eoseewong, prominent senior Thai historian retired from Chiang Mai University and public intellectual, with commentary by Janjira Sombutpoonsiri (Faculty of Political Science, Thammasat University) and Chaowarit Chaowsangrat (Faculty of Arts, Thammasat University) and with Prajak Kongkirati (Faculty of Political Science, Thammasat University) as moderator. The LLTD had requested and been granted permission by the university to hold the event. One day prior to the event, General Pallop Fuangfu, the Commander of the Control Division of the 2nd Anti-Aircraft Artillery Regiment in Pathumthani province, where the Rangsit campus is located, sent a letter to the deputy rector of the university asking that he liaise with the LLTD to cancel the event. In the letter, General Pallop commented that, “…the aforementioned lecture may affect the resolution of the nation’s problems. In addition, at present, in order to protect against the increased arising of divisions or different political opinions and perspectives, every entity is cooperating in support of the reconciliation and harmony of people in the nation” (unofficial AHRC translation). In response, the university locked the door of the lecture room for which they had originally granted the students permission to use. The students then decided to use an open air space on the first floor of the building instead, and many people crowded into the space to listen. Before Nidhi Eoseewong had completed even thirty minutes of his lecture, at approximately 5:30 pm, the authorities approached him directly and told him to stop speaking. Then, he, as well as Prajak Kongkirati, Janjira Sombutpoonsiri, Chaowarit Chaowsangrat, and three of the student organizers, were ordered to go to the local police station in Khlong Luang. The seven individuals were then interrogated during which time they were denied access to legal counsel. After several hours, at approximately 9:30 pm, all seven individuals were then released without charges being brought. By not charging the seven individuals with the violation of any laws or orders, the authorities can still attempt to claim that this was not an arrest, but was rather a discussion to “create understanding,” as they have in cases of arbitrary detention following the coup. However, the lack of formal charges does not change the meaning of this incident as a form of intimidation and violation of the rights of the seven individuals to freedom of thought and expression. At the conclusion of the interrogation, the authorities announced that in the future, topics and outlines of the content of academic events needed to be submitted for approval beforehand. The incident at Thammasat University is not an isolated one, but is rather part of a broader pattern of intervention by the junta in public events organized by students, academics and human rights activists. The intervention is carried out by the local military unit in a given area, which then cites the authority and wishes of the NCPO as the reason for their intervention. While the interventions have been described by the authorities as “requests for cooperation,” those who have made the requests have the power of guns, military courts, and executive power behind them. These are not “requests” but are rather a form of intimidation and harassment. The authorities have the sole power to decide who can speak when, where, and on what topic. If their wishes are not followed voluntarily, then they will act with the power they have under the gun, the military court (AHRC-OLT-006-2014), and executive power, to compel citizens to follow their wishes. The Asian Human Rights Commission unequivocally condemns the coup and the ongoing criminalization of thought and speech by the National Council on Peace and Order. The AHRC calls on the NCPO in the strongest terms possible to cease intervening in academic and other public discussions and to cease harassing students, academics, and citizens who think differently. To think differently than the junta is not a crime. Finally, the AHRC encourages all concerned with human rights and justice to closely monitor the situation in Thailand. The ethnic nationalities of Burma want a federal democracy. This is the only way they can ensure that their people will be free, and with the right to self-determination. The problem, though, is that this will require major changes to the country's constitution (preferably a complete redrafting), which the top military generals have said repeatedly that they will not allow. The situation is a stalemate. No constitutional change means no federalism. There is no way around this fundamental truth. The ethnic nationalities, on the other hand, are not powerless. First, they have revolutionary armies. They can fight to achieve their goal. And secondly, they have something that the military wants: their approval of a nationwide ceasefire. Given that they appear unwilling at the present time to fight for federalism, their only option is to somehow trade their signatures for the constitutional change. At the moment, they are being pressured heavily tosign without this change, with only the pledge that it can be discussed at some point in the future. Some ethnic leaders, such as Mutu Say Poe of the KNU, are even ready to sign right now, without any sort of guarantees at all. In this type of situation, there are really only two options. The first is to hold fast and not sign, with the result that the stalemate remains. The second is to sign without the constitutional change enacted, meaning that the ethnic resistance groups will have failed to achieve their goal and will effectively have surrendered. Once they sign, the political dialogue will go nowhere. The flood gates to corporate development will open wide, and the ethnic turncoats and regime propagandists will receive their reward. There is, however, one other factor that can change this calculus: President Obama's upcoming visit to Burma in November for the East Asia Summit. Obama, who is receiving tremendous criticism in the United States over the failings of his foreign policy, views Burma as his one major success. But, this success is not complete if the ethnic nationalities do not sign the ceasefire. There has to be a semblance of peace, even if itis false. Obama is not concerned about real freedom and democracy for Burma. He just wants the appearance of democracy, and for this the ethnic groups must sign. Then, the remaining American sanctions can be dropped, and U.S. companies will be free to invade. No one will care, much less remember, that Burma does not yet have true peace, or democracy, and that the people of the country, starting with the ethnic groups, are still being horribly abused. This situation - the coming presidential visit - implies that the ethnic nationalities are under great pressure to sign, and in fact this is the case. Intensive public and behind the scenes pressure is being applied. But in reality the ethnic groups are in the driving seat. It is the military regime and Obama who are in trouble. If the ethnic groups don't sign, the regime has little that it can do - sixty-five years of civil warhave already proven that it cannot defeat the ethnic armies in combat. Furthermore, Obama will lose his victory. Both will lose face. The ethnic nationalities may not realize it, and the traitors and propagandists are doing everything they can to hide the fact, but they have all the leverage. They should hold out at a minimum until November, and make the regime and Obama really sweat. If they do this, the U.S., Europe and the rest of the international community will turn their diplomatic pressure on the generals, to try to force them to relent and agree to change the constitution. Furthermore, if the generals persist and refuse, the ethnic armies can then say: It's not us. We will sign, and even someday give up our arms, but only when the aspirations of our peopleare fulfilled. Writing as someone who has a background in corporate dealmaking (Citibank Mergers and Acquisitions in London), I can say that business negotiators, who are ruthless, use similar opportunities for leverage all the time, and without a second thought. Burma’s ethnic rebels should do the same. The nationwide ceasefire is a negotiation, and right now the ethnic nationalities hold all the cards. All they have to do is recognize it, maintain their determination, and call Obama's and the dictatorship's bluff. PARIS-GENEVA, August 26, 2014 (Observatory & Vietnam Committee on Human Rights) - The arbitrary imprisonment of three human rights defenders on trumped-up charged makes a mockery of Vietnam’s human rights commitments and obligations, the Observatory for the Protection of Human Rights Defenders (a joint programme of FIDH and the World Organisation Against Torture - OMCT) together with the Vietnam Committee on Human Rights (VCHR) said today. Today, the Dong Thap Provincial People’s Court sentenced Ms. Bui Thi Minh Hang, 50, to three years in prison, Mr. Nguyen Van Minh, 34, to two years and six months, and Ms. Nguyen Thi Thuy Quynh, 28, to two years in prison. They had been charged under Article 245, paragraph 2, of the Criminal Code for “causing public disorder”. The three remain detained in An Binh Commune, Cao Lanh City, Dong Thap Province. Police intercepted, harassed, and prevented scores of activists from attending the trial. 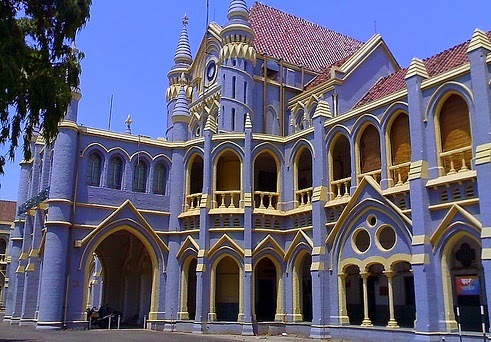 Defence lawyers unsuccessfully requested a postponement of the proceedings after the court refused to hear testimony from 14 witnesses presented by the defence. “Eight months after being elected to the UN Human Rights Council, Viet Nam continues its business-as-usual repression of all voices of dissent”, said FIDH President Karim Lahidji. “Viet Nam’s pledges to improve its legal and judicial system and to adopt policies and measures to ensure respect of human rights have not materialised. It’s time for the international community to make the release of all political prisoners, including human rights defenders, a key demand in its interaction with Hanoi”, he added. Since January 2014, Viet Nam has detained or imprisoned at least nine bloggers and human rights defenders. Viet Nam currently holds about 200 political prisoners, the largest number in Southeast Asia. “Voicing your opinion, travelling to visit other prisoners or advocating for the rights of others is a right – but never a criminal offense. The ruling of today is a shameful example of a judiciary not fulfilling its tasks as protector of rights but serving as a willful instrument of power”, noted Gerald Staberock, OMCT Secretary General in a comment. “We should all remember that the baseline agreement of any state pretending to undertake reforms is that those speaking out on human rights can do so in safety”. Police arrested Bui Thi Minh Hang, Nguyen Thi Thuy Quynh, and Nguyen Van Minh on February 11, 2014, in Lap Vo District, Dong Thap Province, as the three were travelling from Ho Chi Minh City to Dong Thap Province to visit former political prisoner Nguyen Bac Truyen and his wife. Two days earlier, police had raided the couple’s home and taken Truyen into custody. Bui Thi Minh Hang, Nguyen Thi Thuy Quynh, and Nguyen Van Minh are particularly known for their peaceful campaigns for religious freedom, the release of political prisoners, and their support to victims of land confiscation. “The Vietnamese Government must immediately and unconditionally release the three human rights defenders and all other political prisoners”, said VCHR President Vo Van Ai. “The international community must demand that Hanoi match its words with actions”, he urged. This petition is addressed to Mr. Ananth Kumar; Minister of Chemicals & Fertilisers 1 Revise figures of death and extent of injuries caused by the 1984 Union Carbide gas disaster in Bhopal. 2. Move for Urgent hearing of the Curative Petition in the Supreme Court after this revision. On the midnight of December 2-3, 1984, 40 tonnes of Methyl Isocyanate gas leaked from a pesticide factory owned and operated by US multinational Union Carbide in Bhopal. Over half million residents were exposed to the highly poisonous clouds that settled in the older part of the city. In the last 30 years, over 25, 000 people have been killed as a result of their exposure to the poisonous gas and 150, 000 people are today battling chronic illnesses. Tens of thousands of children born after the disaster to gas exposed parents suffer birth defects and development disorders. Following the disaster, the Government of India made the Bhopal Act to represent the victims of the disaster and demand compensation from Union Carbide. In line with its promise of securing the “best advantage of the claimants” the Indian government sought 3.3 billion dollars as compensation from Union Carbide. The government also set up a, rather flawed system of recording of disaster related deaths and injuries among the over half million people. On February 14-15, 1989 the Supreme Court of India announced a settlement secretly reached between the Indian government and Union Carbide for 470 million dollars. This was seen as a sell out by the Bhopal survivors. The settlement amount, one seventh of the amount claimed, was too small for the victims to be adequately compensated. The government had to tailor down the damage caused by Union Carbide to the money it had paid. Consequently, deaths attributable to the disaster were recorded only till 1997 and 93 % of those injured were categorised as only temporarily injured. In June 2010, the Government of India acknowledged the injustice caused to the victims due to the paltriness of the settlement amount. Accordingly, it filed a Curative Petition in the Supreme Court of India claiming an additional amount of 1.2 billion dollars from Union Carbide Corporation and its current owner The Dow Chemical Company, USA. Survivors’ organizations, who are co-petitioners in the matter before the Supreme Court, have pointed out that the government needs to revise the figures of injury and death. According to them, projection of the figures reported by the Indian Council of Medical Research (ICMR) in its medical research in Bhopal brings the death toll closer to 25, 000 more than four times the figure of 5, 295 presented by the government. The organizations have also pointed out that assigning the category of temporary injury to 93 % of the survivors was wrong because Union Carbide’s own document states that exposure to Methyl Isocyanate causes residual injury in spite of prompt treatment. Survivors’ organizations are asking the Government of India to revise the figures in the Curative petition based on ICMR’s research findings. Survivors’ organizations are calling upon the government to ask for 8.1 billion dollars as additional compensation based on revised figures of death and injury so that the people of Bhopal can be adequately compensated. We must be concerned with this because the Bhopal disaster is not an isolated occurrence. With the global rise and spread of the business of hazardous chemicalspeople all over the world are today actual or potential victims of corporate crime and industrial pollution such as those in Bhopal. According to the United Nations Environment Programme (UNEP), diseases caused by industrial pollution are now among the five commonest causes of death worldwide. There are slow and silent Bhopals occurring all around us. 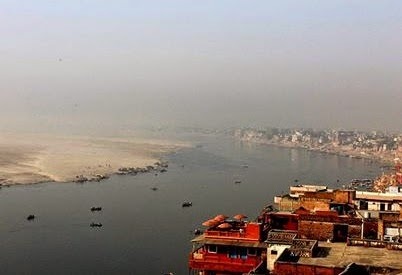 In a significant development, a two judge bench of Hon’ble Supreme Court, comprising Justice T. S. Thakur and Justice Adarsh Kumar Goel today refused to entertain a Petition filed by the Narmada Control Authority to transfer a 7 year old PIL from the High Court of Madhya Pradesh to the Supreme Court. The NCA, a monitoring authority under the Union Ministry of Water Resources had filed a Petition to transfer the Writ Petition No. 14765/2007, which was filed by Narmada Bachao Andolan, challenging the massive corruption in the resettlement and rehabilitation of the Sardar Sarovar project affected families. The NCA also sought transfer of an interim Application by NBA which challenged the recent decision of NCA dated 12th June, 2014, on the raise in SSP dam height, till the Judicial Commission appointed by the High Court under Retd. Jst. S.S. Jha, which has been inquiring the corruption scandal for about 6 years submits its report to the High Court, and the High Curt issues further directions. Refusing to transfer the entire Writ Petition on corruption from the High Court, to the Apex Court, the Division Bench directed that the High Court shall continue to hear the corruption matter, but not the issue of praise of the height of SSP. With regard to the latter issue of raise in the height in the SSP, Bench granted liberty to NBA to approach the Supreme Court for suitable directions. NBA shall continue to raise the issue of corruption in the rehabilitation before the High Court and challenge the illegal move to raise the height of SSP, along with other issues of rehabilitation before the Supreme Court and also at every fora. There are to this day 2.5 lakh oustees yet to be rehabilitated and thousands of un-rehabilitated families under the present dam height of 122 mts itself, who have become a victim of corruption and State neglect. Ansan City, SOUTH KOREA - Public funds were allegedly spent to illegal misuse called Disbursement Acceleration Program or DAP prompted the Filipino people and opposers filed three cases of impeachment complaint against President Aquino who initiated the said funds in 2011. For Aquino and cronies, DAP bolster the economy but it cannot be seen by the poor Filipino people as they suffer for the unstoppable inflation of prime commodities and petroleum products as well as the continuing increase and shortage of electricity at present time. The Phillipines is still called the “Sickman of Asia” not a Rising Tiger of Asia as allegedly called by the present administration due to illegal misutilization of public funds. The wealth of the nation should be equally distributed mostly to the poorest in society, less-privilege, homeless due to disasters people of the society. That system does not happen in Filipino nation and so far they go to streets to fight against the leaders who illegally misused the people's money and hoarded it for political parties and electioneering. The Filipino people is in extreme anger for the nation has still governed by greedy, disnonest and deceitful rulers, and careless to serve the people with integrity, and willing to serve and die for his country. Netizens and Filipinos across the world including overseas contract workers (OFWs and OCWs) outraged against their political leaders by saying, “We are proud to be Filipinos but we are ashamed of our government." Last year the Filipinos joined together to abolish the Priority Development Assistance Fund or PDAF before the Supreme Court where billions of pesos of government funds went to fake beneficiaries for many years orchestrated by a certain chinese descent- Filipino businesswoman who became the mastermind with connection in the nation's lawmakers and public officials nationwide. Thus, three incumbent senators committed plunder and charged before the Ombudsman and later jailed and suspended for 90 days for the first time in the history for dishonestly corrupted the public funds. Today, million Filipinos are angrily marched and outraged in the streets to impeach the ruler of Philippines by creating and incorrect misusing of DAP savings which allegedly used to boast the economy of the country but it was learned that some part of this funds was illegal, for example, every senator who was in favor for the impeachment of ousted former Supreme Court Justice Renato Corona had been received 50 million pesos as additional fund. Militants, students, and many civic groups filed a petition before the Supreme Court (SC) against DAP which used by the president for alleged bribery to senators as additional fund aside from their 200 million PDAF annual allocation which was earlier declared as unconstitutuional by the SC. The people outrage was heard and successful to abolish the said fund but Mr. Aquino has created the said DAP starting in 2011. Heu believes that it is one of his right paths or ways to bolster the economy of the country but the taxpayers, netizens and youth groups opposed his DAP funds or savings which later found out and declared by the Supreme Court as partly illegal or unconstitutional, with 13-0 votes against DAP. Just recently, youth groups, students and some party-list lawmakers filed impeachment case against President Aquino for Culpable Violation of the Constitution and the Betrayal of Public Trust. There were at least three impeachment cases Mr. Aquino will be facing for using DAP in Corona's corruption charge as alleged misuse of funds and betraying the Filipino people. Prior to election in 2010, the Philippines was being ruined in corruption in the leadership of former president Gloria Arroyo in nine years of service. Millions of Filipino people then put their trust to then senator Benigno Aquino III to run for presidential race as a hopeful to fight against corruption and poverty, he defeated other presidential rivals by landslide votes against former president Joseph Estrada, who was once ousted due to plunder. Aquino however, put Mrs. Arroyo in trial for corruption as she used the scandalous fertilizer fund in 2004 election in order to win against the supposed winner Fernando Poe Jr. and she is yet in hospital arrest in public hospital due to alleged neck problem. The incumbent president Aquino committed a mortal sin by approving the implementation of DAP, according to Leonor Briones, a former national Treasurer. “ It is a legislature act to prove the Appropriation Act with details but Aquino acted like a legislature by deciding where new funds in his DAP will be allocated,” she stressed. The country political leader's of yesterday and today look like greedy, deceitful and untrustworthy, some have become protectors of smugglers, hoarders and also murderers just to stay in power and silence those who oppose them by using the public funds. They are also carefree to the impoverished in society who do not have enough foods to their children, while the poorest among the poor are starving to death while the funds of the nation went only to few rich and self-indulgent politicians and their political dynasties alone while jobless and graduates cannot find jobs for lack of adequate employment and poverty is rampant around the corners of the country. Based on information given by the Department of Foreign Affairs (DFA), there are more than 9 million Filipinos working abroad and the main reason is, the past and present government cannot generate and provide enough jobs for its citizenries, yet the government of the people is being inefficient and lack of concern as they serve only for themselves and their allies or political parties even their families and relatives in politics and they have stiff-necked and become arrogant by inreasing their wealth using the taxpayers money and Overseas Factory Worker's billions of pesos of remittances yearly, the people of the nation have become the exports of the country. 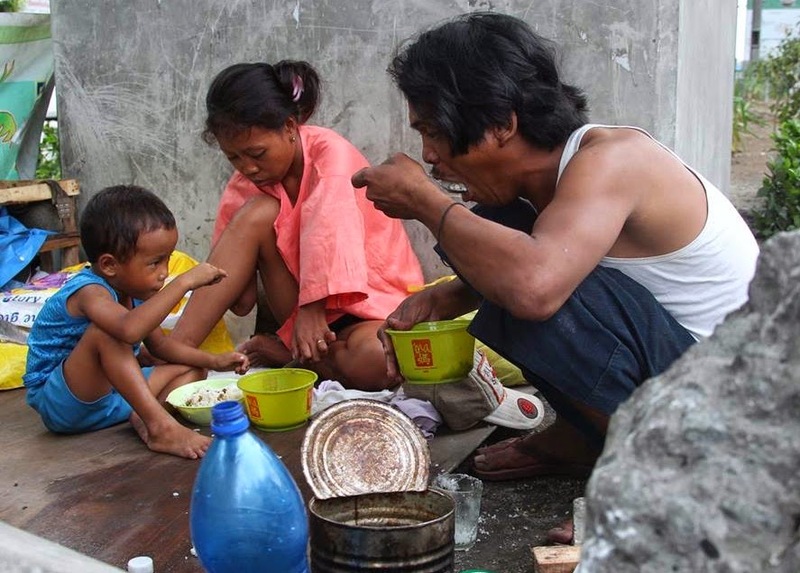 The deceitful political leaders betrayed their people by bringing the land to ruin and cast the Filipinos away to undying poverty especially the poorest ones who become beggars and some children are dropping out of school just to work in dump sites for their daily needs. On Monday July 28, Mr. Aquuno will hold his fifth State of the Nation Address or SONA where majority of the people expect nothing from his promise in his past public nationwide speeches as the country is still suffering in poverty, disorderliness and economic chaos and many poor people are still homeless, the victims of Yolanda typhoon are still living in tents until today, many graduates are still jobless for lack of jobs so far, he has also promised to hasten the Freedom of Information Bill into a Law but is still a promise and pretense. One of the worst, the public school teachers who risk their lives during election were not heard for asking their pay hike and not benefited in DAP as Aquino was saying that government has no resources for it, but millions and billions of pesos of DAP funds he allocated to several government agencies, to wit; 30 miilion went to Bangko Sentral ng Pilipinas, 50 million allocated to each senator who voted for the removal of former SC Justice Corona, 10 billions for Department of Interior and Local Government or DILG, 900 million allocated to Department of Social Welfare and Development or DSWD, Solons received 5 billions in DAP during the impeachment trial of Corona and many more. Ironically, in the Philippines alone, electioneering is more important than the sufferings and insufficient salaries of teachers, than the impoverished or poorest in society, than the homeless and desperate victims of Yolanda and Glenda typhoons who until now are in great suffering of shelters and foods. The SONA of the president on Monday will just a show and masquerade and he cannot lead the nation to lift up the lives and standard of living of the poor, the needy and the unfortunates. The Philipines will never be a “Rising Economic Tiger" in Asia as long as it is ruled by few chinese rich, powerful and oligarchic government. The president of the nation is rich, therefore his heart is for the few rich and for his political parties and allies, not for the poor as he called as his “Bosses”. However, one of the male senators says, “President Aquino is childish and immature”, thus Filipino people have wasted another six years again that is why our nation is called by a brave and lady senator , a “ Failed State” and indeed, Filipinos are still in great suffering in their own land ruled by untrustworthy leadership and pretense and lack of compassion of disnonest leaders to the nation and poor people of society. As a pioneer organization, UTSA, one of the renowned NGOs has initiated its intervention mainly in raising awareness about Mental Health issue through Therapeutic Theatre tools as its organizational motto since 1997. UTSA began its journey by establishing area based ‘Theatre Unit” to work on different socio-economic issues. UTSA believes that theatre is one of the most effective tools for communicating awareness raising programmes. UTSA already has completed more than five thousand issue-based theatre shows. The issues of the theatre shows included Child Labour, Labour Rights, Child Rights, Disabled People’s Rights, Women’s Rights, Sexual Harassment, Child Trafficking, Early Child Care development, HIV/AIDS, Strengthening Local Government, Population Growth, Disaster Management, Leprosy, Environmental Preservation, Drug Addiction and Abuse of Acid. Besides theatre shows UTSA has implemented a number of therapeutic theatre based interventions focused on different issue based projects, institutions and networks. UTSA can claim of having initiated to build up a strong networking through country wide either by patronizing or by having partnership with different institutions working for establishing human rights of PwDs, adolescents, vulnerable community people like TTCD, BTTI, CCBPC, BBL, KHRDI, RRTC, Dr. Jahangir Complex, ADF, CSD, AUDC etc. focused on a sustainable socio-economic and cultural development which ensures a democratic society free from all kinds of discriminations. Through incorporating Theatre for Development and Therapeutic Theatre as a part of clinical psychology, it is not only possible to ensure the effectiveness of any kind of psychosocial care based development issues but also to bring human resource development by initiating a process to safeguard an interpersonal empowerment. Physical development like financial development and sound infrastructural change is never to gain its sustainability without being reached to the acceptable level of people’s mentality that is formed by the socio-economic and cultural infrastructure. Actually the desired level exists within the sphere of the development of individual’s psychosocial aptitude. It is true for any type of socio-economic and cultural condition in the worldwide. Here comes a question of the most effective communicative tools that simply convert the development initiative to its all-time practice. Theatre especially the Therapeutic Theatre tools can play a vital role in this regard. Due to the unique properties of theatre, it can be used very successfully as a form of counseling. Generally, counseling is purely talk therapy consisting of thought-provoking conversations aimed at increasing the client’s self-awareness. However, just talking about thoughts and emotions might not always be enough. All those emotions we experience require a physical outlet which Theatre Therapy can provide. The key premise on which this therapy rests is that creative art is a force that has the power to heal. With the aim of developing the situation of Persons with Disability (PwD), underprivileged, and different types of vulnerable people in Bangladesh UTSA has introduced its social action related interventions through ‘Theatre Therapy’, ‘Psychodrama’, ‘Sociodrama’ and ‘Theatre for Development’. It is obvious that Theatre allows us the opportunity to experience the emotions like pain, anger, depression, anxiety and achieve catharsis for our own pent up emotions vicariously by watching the lives of the characters. In Bangladesh, as one of the very few institutions since its inception UTSA has been playing a vital role either by arranging or by participating in the therapeutic theatre based dramas, exhibitions, workshops, seminars, and festivals to improve the mental health of adolescents, underprivileged community people and PwDs. In addition to building therapeutic theatre units, other creative counseling and group psychotherapy tools UTSA aiming at developing expert Theatre Therapists has been organizing National Therapeutic Theatre Workshops (NTTW), conducted by international Theatre Therapists every year as one of its remarkable interventions since 2003. Particularly working experiences with the school going adolescents suffering from emotional disorders, PwDs, victims and survivors of natural disasters like SIDOR and AILA as well as man-made disasters like Mirsori Tragedy, Savar Tragedy are the remarkable additions of uplifting the confidence level of UTSA Team members. The desired achievement is still far reaching as in Bangladesh there is no National Mental Health Act. Morover, there are fund crisis, shortage of resources and efficient manpower. Still UTSA believes that through the advocacy programmes the vision of establishing a democratic society where people will live with dignity, freedom and safety will come true soon of course with all kinds of supports come from influential philanthropic organizations as well as individuals at home and abroad. The Human Rights and Development Foundation (HRDF) has been providing legal representation to Air, an ethnic Karen girl who has filed a case against her former employers for inflicting on her cruel treatment and enslavement. On 30 June 2014, around 2pm, the Kampaeng Phet Provincial Court read a verdict for the case filed by Air's custodian, Mrs. Mo Wateng, on her behalf against Mr. Natee Taeng-on and Miss Rattanakorn Piyaworatham, her employers. The civil suit for damages was filed as it was alleged that while serving as housemaid for the two employers, the girl had been subjected to egregious physical abuse. 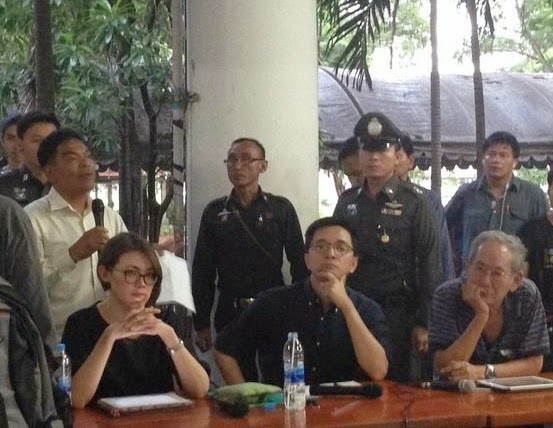 In addition, the Court ordered the defendants to provide 500,000 baht to cover transportation costs of the plaintiff to seek treatment from the Ramathibodi Hospital. In total, the two defendants are required to provide 4,603,233 baht as damages. However, the exact amount to be received by the damaged parties shall be dependent on further executions in order to acquire assets belonging to the employers and to provide the compensation to the plaintiff as ruled by the Court. The case began around 2009, when Air, a seven year old girl disappeared from the living quarter of her parents who were migrant workers from Burma and employed by Thai employers in the province of Kamphaeng Phet. The search effort by her parents came to no avail. On 31 January 2013, Air successfully made an escape from the house and was assisted by some samaritans. She, then, received help and shelter from officers of the Kamphaeng Phet Children and Families shelter and other local agencies. According to Air, she was abducted by the former employers of her parents from the residence of her parents in the sugar cane plantation. Since then, she had been forced to serve as a housemaid in the house of Mr. Natee Taeng-on and Miss Rattanakorn Piyaworatham. During her time working with the two employers, she suffered abuses inflicted on her by them until she sustained grievous injuries including some wounds caused by her being poured with boiling water. The brute has also caused ligaments that make her unable to stretch her arms out and to bend her elbows. Officers of the Children's and Family's Home in Kamphaeng Phet has transferred her to Ramathibodi Hospital in Bangkok for further treatment. More detail of the case filed by Air's custodian, Mrs. Mo Wateng, on her behalf against Mr. Natee Taeng-on and Miss Rattanakorn Piyaworatham, her employers in a civil suit with the Kampaeng Phet Provincial Court can be found at http://hrdfoundation.org/?p=805 and http://hrdfoundation.org/?p=805&lang=en. At present, the two employers are also the suspects in a separate criminal case as they are pressed with the accusation of committing bodily harm and thereby, causing the victim to receive grievous bodily harm, cruel treatment, deprivation of other's liberties and as a result of which severe injuries have been inflicted on the person, deprivation of other's liberties and as a result of which the person is forced to serve other persons or the perpetrator, enslaving a person or causing a person to be in a position similar to a slave, conspiring to bring forth a person or to deprive of liberties of the person younger than 15 years of age and as a result of which the person is inflicted with grievous bodily harm, taking away a child not yet 15 years of age from parents, and conspiring to conduct human trafficking. At present, the two employers are still at large after being granted bail by the police. Ms. Nattarat Aroonmaharat, Coordinator of the Anti-labour trafficking, Human Rights and Development Foundation (HRDF), deems that the verdict underlies civil rights of a damaged party in a criminal offence including the right to be free from infringements on one's body and freedom. Apart from being an offence against Criminal Procedure Code, the violations committed against Air can be persecuted as a human trafficking offence as Air has been a victim of unlawful exploitation including forced labour and enslavement and that Air is entitled to damages provided for by the 2008 Anti-Trafficking in Persons Act does not in any way deprive her of the right to be provided for with damages resulting from a civil suit. Kindly extend your support through your esteemed media regarding the following Press Statement, please. 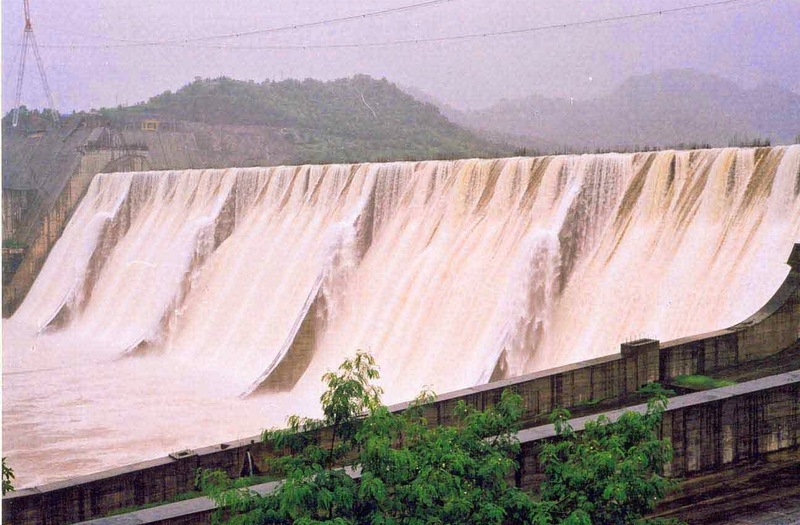 On 11th June, Prime Minister Mr. Narendra Modi has announced that it is decided to go forward with Sardar sarovar Dam construction to its final height. Sardar Sarovar Dam at its present height itself has 2 lakh people in its affected region, so if the height is raised by installing 17 meters high gates, the densely populated villages in Nimad Madhya Pradesh with houses, farms, shops, temples, mosques, standing crops etc. will face a watery grave. Adivasi villages in the hills in Maharashtra, Madhya Pradesh and Gujarat habitating hundreds of families are also to be further submerged. Altogether not less than 2.5 lakh people, farmer, fishworkers, potters, shopkeepers will face a deluge and devastation, without rehabilitation, if the height is raised from 122 meters to 139 meters! Realising the fact that considerable number of people to be displaced are from fishing communities, the National Fishworkers Forum (NFF), hereby would like to raise it's concerns about the heightening of the dam. It is important to ensure that the right to livelihood through the traditional means of livelihood be protected and ensured so that the fisher communities can live in dignity. The National Fishworkers' Forum hereby request the NDA government to give up such move. NFF also wish to voice it's solidarity to the National Alliance of People's Movements (NAPM) that has spearheaded the concerns of the local communities in the region to be submerged. We demand that democracy and justice is ensured for these poor people, whose concern Mr. Modi has raised in his first speech as the new Prime Minister of India. The State Peace and Development Council (SPDC) was the name of Burma’s military junta during the period from 1997 to 2011. From 1988 until 1997, it was the State Law and Order Restoration Council (SLORC). However, even though these names have been abandoned, the junta remains firmly in control of the country, through armed force as well a self-drafted national constitution that effectively can never be amended. Junta chief for this entire period, Than Shwe, has retreated into the shadows, but he continues to dominate the country through his subordinates, President Thein Sein and Burma Army Commander in Chief Senior General Min Aung Hlaing. Because the so-called power changes inside the country since 2011 have actually only been cosmetic, I will continue to refer to the regime as the SPDC. The Karen National Union (KNU) is the political organization for the Karen ethnic group of Burma. It was forced to begin a revolution against rule by members of the country’s largest ethnic group, the Burmans, on January 31, 1949. The founder of modern Burma, Bogyoke Aung San, was a friend of the Karen. Unfortunately, in a tragedy for the entire country, he was assassinated in July 1947. Then, during Christmas 1948, the Vice Chief of Staff of the Burma Army, General Ne Win, used his pocket army troops to attack Karen villages in Taninthayi (Tenasserim) Division. In quick succession, the Karen quarters in Ahlone of Rangoon, and satellite towns Thamine and Insein, were burned down. Further, when the Karen revolution started in response to this aggression, Ne Win used it as an excuse to remove the Chief of Staff of the Burma Army, General Smith Dun, who was Karen, as well as a number of other high-ranking Karen military officers and civil servants. The Karen had also been subjected to attacks during World War II. Ne Win was one of the founders of the Burma Independence Army, and fought alongside the Japanese. Resentful of perceived favorable treatment for the Karen during the period of British colonialism, he organized these early attacks. However, the Japanese, recognizing that it was simply for revenge, stopped the carnage. He then went on to seize state power on March 2, 1962, and became the country’s first dictator. The Karen people have further been a primary target of the military regime since this time, including during the period under Than Shwe. Burman military rule has had a clear racist element, which further was imposed systematically through the Four Cuts program, which effectively made Karen areas Black Zones, where villagers could be shot on sight. Thousands of Karen villages were destroyed, and countless women raped, and men, women and children killed. Hundreds of thousands fled to become IDPs and refugees. While Four Cuts also targeted Burma’s other ethnic nationality groups, notably the Kachin and Shan (the war against the ethnic groups began after the West and Japan gave Ne Win sizable military and financial assistance), no group has suffered for longer than the Karen, whose period of abuse now exceeds seventy years. Because of this history, the events that occurred last week between the KNU leadership and the regime were nothing less than astonishing. Current KNU Chairman Mutu Say Poe, Karen National Liberation Army (KNLA) Commander in Chief General Johnny, and KNU General Secretary Kwe Htoo, traveled to Naypyidaw and concluded their fifth meeting with Thein Sein and sixth with Min Aung Hlaing. Other than brief comments, the content of these discussions has not been revealed. This secrecy has also characterized National League for Democracy leader Aung San Suu Kyi’s own series of meetings with Thein Sein. Significant - historical - discussions are underway in Burma, but the people of the country have no idea of their nature and import, much less an ability to participate. Following their latest meeting, the KNU leaders made the following statements: - They will sign a new ceasefire agreement by August 1st, which matches the regime’s own timetable for a “nationwide” ceasefire. Through doing so, the Karen leaders agree with the dictatorship that a ceasefire should come before: Real peace; the initial release of the national census results; political dialogue between the regime and the ethnic nationality groups; and constitutional change. - They further would like to see Thein Sein stay as President for another term, under the election scheduled for the end of 2015. Again, that the KNU leadership’s objectives now coincide perfectly with the regime’s, is nothing short of breathtaking. One wonders if - what - they have been promised in return. It gives every appearance of a complete betrayal of the Karen people and their trust, not to mention all of the other ethnic groups and the entire country. Treason is not too strong a word. The political organization for the Kachin people of Burma, the Kachin Independence Organization (KIO), agreed to a ceasefire with the dictatorship in 1994. This ceasefire persisted, even in the face of widespread abuse of the Kachin people and their interests, until 2011. At this time, the regime demanded that the Kachin, and the other ethnic armies including the Karen, restructure as Border Guard Forces (BGF) under Burman officer control. 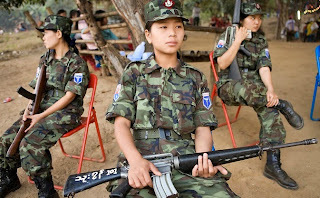 When the KIO refused to do this, the Burma Army launched a series of attacks, breaking the ceasefire, and which attacks continue now three years later. The KIO ceasefire was a disaster for the KNU, since it enabled the Burma Army to redirect units in Kachin State against the KNLA. This led to a period of greatly increased abuse of the Karen population. The BA also increased its forces against other ethnic groups that refused to sign ceasefires, notably the Karenni National Progressive Party and the Shan State Army - South. It is natural that the Karen and these other groups would be distressed - to say the least - at the actions of the KIO (and other groups that signed ceasefires at this time). 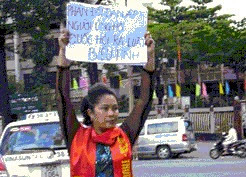 But it is notable that the KIO did not actively join the regime, such as by sending Kachin soldiers to fight the Karen. The KIO deal was signed - supposedly - to offer relief to Kachin villagers. The new actions of the KNU, though, represent an even greater betrayal. The KNU has effectively turned its back not only on the Karen people, but the Kachin as well, through saying that the KIO should sign a new ceasefire by August even though it remains under daily Burma Army attack. Coupling this with the fact that the KNU leadership does not even support Suu Kyi - Than Shwe’s sworn enemy - as a Presidential candidate, it is not an exaggeration to say that the KNU has now allied with the regime - the SPDC. That such a turnaround has occurred raises the questions of why, and how. Also in 1994, the KNU suffered a major split, and through it control of its main base at Manerplaw. A dictatorship-aligned Buddhist monk sowed dissent among Buddhist KNU soldiers, who deserted to form the Democratic Karen Buddhist Army (DKBA), and which successfully attacked Manerplaw. This was the first major disruption of Karen unity after Than Shwe seized power. As an aside, it was also an example of the divergence of Burma Buddhism from the country’s democratic aspirations. Leaders of the Buddhist Sangha - the State Sangha Maha Nayaka - had allied with the dictatorship for years, receiving alms and other rewards and keeping the young monks in line. Monks in general are meant to be apolitical, but given the oppression in the country many naturally hoped for democratic change. This became evident during the 2007 Saffron Uprising. However, this positive step has now been reversed, through persecution of the Uprising’s leaders and participants, and through the rise of the racist monk-backed 969 movement, whose goal is to “cleanse” Burma of Muslims. Interestingly, Suu Kyi, who refuses to speak out for the Muslims, notably the persecuted Rohingya, is also opposed by the 969 monks. Returning to the DKBA, it became a rogue militia allied with the Burma Army, and assisted with the abuse of Karen villagers. The DKBA also became involved, with regime support if not direct involvement, in the narcotics trade; human trafficking; cutting old-growth hardwood timber and exploiting other natural resources; and border gate taxation. For the first, the following link is a photo exhibit of the narcotics trade, including a seizure of ten million methamphetamine tablets. Its source, a KNU intelligence officer - the KNU formerly worked with Thai narcotics agents - some years later was murdered by the drug lords. Prior to the split with the DKBA, the KNU and the Karen people were unified behind the Karen Revolution. Given the violent attacks they suffered, armed self-defense was the only option. They stayed true to founding and regime-assassinated KNU leader Saw Ba U Gyi’s four principles: - Surrender is out of the question. - The recognition of Karen State must be complete. - We shall retain our arms. - We shall decide our own destiny. However, in light of the rewards that the DKBA warlords received, including a respite from Burma Army attacks in their areas of control, as well as financial gains from narcotics sales and other dealings, this unity began to fail. It appears that the temptation was too great for some. A split developed within the remaining KNU leadership, and which split prevails today. Furthermore, other breakaways occurred, including such groups as the Karen Peace Force (KPF) and KNLA 7th Brigade deserter General Htein Maung’s Peace Council. It is also noteworthy that the southern 4th Brigade, which due to geography is out of easy contact with KNLA HQ, became corrupted as well, engaging in business deals including reportedly narcotics both with the regime and Thai mafias. While KNLA brigades to the north fought on a daily basis with the Burma Army, there were few clashes in the 4th. Current General Secretary Kwe Htoo was formerly District Head for the area. 4th Brigade Commander General Oliver, whose son Mu Kay was - and is - leading the business deals, became KNLA Deputy Chief of Staff. As I have said, that a split developed within the KNU leadership is not surprising. That it led to the current situation, though, with secret dealings with Than Shwe’s trusted subordinates, only became possible through the assassination in 2008 of another senior Karen leader, General Secretary Padoh Mahn Shah. Under his strong day-to-day leadership, the KNU stayed true to Saw Ba U Gyi’s principles and the Revolution. However, following his death - at the hands of DKBA agents - the opportunists within the KNU were able to get the upper hand. The opportunist faction at the time was headed by Joint Secretary Htoo Htoo Lay. He is known to have close contacts with the Shan powerbroker Harn Yawnghwe’s EuroBurma Office (EBO), which receives its funding from the nations of Europe, notably Germany and Norway. These countries, as with the Obama Administration, as a policy objective want “peace” in Burma at any cost, including if need be a continuation of Burman racist oppression of the country’s ethnic nationalities, to achieve a complete opening to commercial development. EBO has been a major driver behind the last few years’ spate of individual ethnic group to regime ceasefires (including the KNU in January 2012), not to mention the push for a nationwide ceasefire as soon as possible and no matter the consequences. It is not only the KNU that is now fundamentally corrupted at the leadership level. Htoo Htoo Lay is also a member of the EBO funded Pyidaungsu Institute for Peace and Dialogue in Chiang Mai, whose interests are closely aligned with those of MPC. Even with the murder of Padoh Mahn Shah, the opportunists had a difficult time achieving dominance. Upon his death, an emergency Congress was called (in 2008). Htoo Htoo Lay’s late follower, David Taw, ran for the post of General Secretary, but lost. Mahn Shah’s allies retained control. This situation, though, was only temporary. 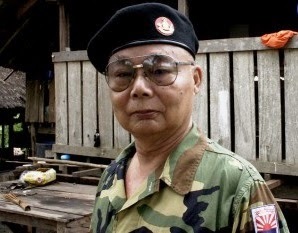 The opportunist faction expanded to include Mutu Say Poe, formerly Commander in Chief (technically, General Officer Commanding - GOC), who on the death of longstanding KNU leader General Bo Mya and the desertion of Htain Maung was able to gain overall command of the KNLA. Joining him was General Johnny, also from the 7th Brigade, and their cohort. This group now forms a mafia. Ordinary Karen people are afraid to speak out about their corruption. Indeed, my sources say that General Johnny allowed the DKBA to occupy the 7th Brigade camps and KNLA HQ in 2009, without firing a shot. However, the DKBA tricked him, and retained control of the bases for years even though their agreement was that their stay would only be temporary. That he did not lose his position for this treason, but actually rose to become KNLA GOC, is due to his loyalty to General Mutu. It is also noteworthy that the KNU Executive Committee explicitly forbade these officers from signing any agreement when they traveled to Rangoon in early 2012. Nonetheless, they signed a “preliminary ceasefire agreement” anyway. Since that time, not only has a final agreement not been reached, but many of the important conditions of the preliminary agreement related to Burma Army bases and codes of conduct have not been satisfied. Then, in late 2012, at the next Congress, this group perpetrated electoral fraud and gained absolute control. The Election Commission Head, Pastor Robert Htwe, diverted from standard KNU election procedures. He counted the ballots personally and without an independent review and verification (young Karen activists videotaped this); then burned the ballots; announced that the opportunists had won; and immediately left the Congress. The results were clearly cheating - fraudulent. This effectively comprised a coup within the KNU, and which I described in detail at the time in the following two statements. In summary, while many KNU officials, and KNLA officers and soldiers, not to mention the Karen public, remain true to their Revolution, and seek real freedom and self-determination, they have been betrayed by the leadership clique that has grabbed power. These individuals - General Mutu, General Johnny, Kwe Htoo, Htoo Htoo Lay, Pastor Robert, and their co-conspirators - have abandoned the four Karen principles. Instead, they are making secret deals with the top SPDC generals. Therefore, the Karen cause - for the moment at least - is lost. It is essential that this situation be reversed, as soon as possible, and moreover that the other ethnic nationalities of the country deny the KNU traitors’ attempts to force them to surrender as well. The KNU opportunists have united with the SPDC, as has Aung San Suu Kyi (beginning in 2010, when she ended her support for U.S. sanctions, which capitulation she confirmed by cancelling the NLD election boycott and running for Parliament in the 2012 by-elections). Any additional defections will doom the country for years to come. Just to be sure that everyone understands what exactly is at stake, it is worth considering Burma’s neighbor, China. Just this month, China passed the 25th Anniversary of its own Tiananmen Uprising. Tiananmen was the Chinese people’s one concerted attempt to win their freedom, and it also came during the opening stages of economic development, triggered by Deng Xiaoping’s “modernization.” The Communist Party cracked down on the uprising, and it failed. As with Burma, the International Community gave the Chinese people no help at all. Now, twenty-five years later, China is much more developed, but the people are just as enslaved. Moreover, the one thing that the communists had provided, an “iron rice bowl,” meaning guaranteed food and more deeply a sense of common equality, has been broken. Party cronies have done fabulously well (many are immigrating to America), but the vast public is impoverished, and China’s natural environment is devastated. A recent study concluded that a full sixty percent of China’s water supply is severely polluted. The rate for its atmosphere is even worse. The Chinese people missed their chance, and it is difficult to see when they will get another. The people of Burma still have theirs. Since Suu Kyi in her lust for power has given up, the only real hope for freedom rests with the ordinary Burmans, and the ethnic nationalities. For the first, it appears that most Burmans are in thrall to “the Lady,” and are following her like sheep to slaughter. There are also many traitors in their midst, and other than on local issues such as land thefts and worker and resource exploitation, it is unlikely that they will once again as a group rise up. The Buddhist monks certainly aren’t going to lead the way. For the ethnic nationalities, the key is to avoid a nationwide ceasefire, as under the terms now demanded by the dictatorship and its propaganda organs like MPC, it constitutes a unilateral surrender. To accept the agreement as it stands would be equivalent to signing their own death certificates. The other ethnic groups should refuse to follow the KNU. Instead, they should insist on a real, sustainable peace, and also obtain material concessions from the regime, before signing. It is ludicrous to believe that they can sign now, and that Than Shwe will then change his spots and honestly negotiate through political dialogue. Instead, he will do what he has been doing for years: delay and stall and refuse to compromise on anything. Also, when his day does come, all the people of Burma should never forget that there are many subordinate officers in the Tatmadaw who are more than eager to take his place as the country’s supreme ruler. Billions and billions of dollars are going to be made - stolen - and the closer you are to the top, the bigger share of the pie that you will get. Luxury condos in Singapore after all are getting more and more expensive. Finally, the ethnic nationalities shouldn’t agree to anything until after the regime publishes the census numbers. They need to see just how many of their people the dictators are willing to say exist. Sri Lanka is once again on the edge of a political crucible in terms of its international relations as well as in its domestic politics. The country is ignoring calls for an independent and credible investigation into alleged wartime atrocities while at the same time carrying out atrocities against its own people. None of the elected or appointed officials have been able to fulfil even the basic requirements of their offices, but instead put all their efforts into finding loopholes to escape the situation and to justify what they have done. Mass Graves are not a new phenomenon in Sri Lanka as over 30 - 40 mass graves, including potential sites, were found in Sri Lanka in last two decades. In addition to the mass graves of atrocities by the state there are also many mass graves in Sri Lanka for the victims of the Asian Tsunami which happened in December 2004, and claimed over 38,000 lives in the island nation. However, the ruling alliance engages in an ad hoc based solution to avoid justice, ignoring the concerns that mass graves give rise to. Consequently, some of relatives of the victims’ family were intimidated by the government security forces when they approached the court accepting inquiries into the mass graves. Since the early 1970s, hundreds of thousands of people have been killed by the government and by the non-state actors who led insurrections against the neo-feudal governmental apparatus in an attempt to reform society. However, the government was able to crackdown on the challenges to their rule while picking up those who were engaged the cause and, sadly, some of those who had nothing to do with the insurrections. To eliminate the insurrections the government ordered mass killings of those who were picked up by the military forces and its paramilitary allies, and later dumped some of their bodies round the country while others were burnt to death on the country streets. This horrible truth has come to light with the discovery of the mass graves of the victims of extrajudicial killings. During the last two years the country has learned of two newly discovered mass graves. One is in Matale, in the Central province; and the second is in Mannar in North province of the country. In the latter case, where well over a hundred human skeletons were discovered, the government may have influenced the excavation and investigations by impeding the work of the professional forensic investigators. It is widely believed that the military commander of a certain regiment is responsible for this crime against humanity. The latest result of the government’s denial of the right to life was the third resolution on Sri Lanka adopted at the United Nations Human Rights Commission in March 2014, in which the government was urged to accept international assistance to conduct an independent investigation on the crimes reported during the last phase of the battle between the security forces and the Liberation Tigers of Tamil Eelam (LTTE). The LTTE, which was fighting for a separate state within the island, was classified as a terrorist origination by many countries, including neighbouring India. Their struggle ended in May 2009 when its leaders were killed by government security forces. Despite all the other crimes that were reported in the country’s recent history, the third resolution adopted by the UN human rights council drew its serious concern about the crimes reported during the last phase of the war, which is indeed a necessary development. Most of the well-balanced critiques on the resolution come across as the end of sleep walking on the part of the international community regarding the grave destruction in Sri Lanka. In other words, this is an attempt to counter the well established policy known as trying to catch a fly in a dark room. However, challenges remain in the domestic political arena, especially regarding the arbitrariness of government policy which tends to avoid fulfilling the basic requirements for justice. Instead of totally destroying the system of the institutions of justice, they simply distorted them and appointed close allies to manipulate the process. This makes for a greater confusion among the people as well as the international community. Through all this the people still believe that they have the ability to achieve democratic rule, justice, and freedom, which they believe will be able to protect their basic rights. But in reality this is an illusion. Perhaps this deliberate paralyzing of the country’s criminal justice system and other state institutions was a well-designed plan by the, to keep their power and prevent the people from obtaining justice by undermining the basic rights of the people. Melanie Klinkner, senior lecturer in Law at Bournemouth University, has briefly outlined the mass graves investigations for International criminal proceedings. She has conducted investigations on mass graves and her research publications to date focus on the interplay of international criminal law and forensic science. “Mass grave excavations have also the potential to fulfil important humanitarian goals that go well beyond prosecutorial needs. In the aftermath of gross human rights violations, evidence from the field suggests that information as to what happened and how is happened, fulfils a very important need of families and survivors. In fact, this need to know the truth is vital and may have primacy over wanting justice; the desire for justice may follow on from knowing the truth. Though it should also be noted, that learning and knowing the truth can have complex and unpredictable effects on the individual and may exacerbate strains between the individual, the past and society. In any event, mass grave investigation need to be mindful of the psycho-social ramification they have on the survivor population and on relatives of the missing. 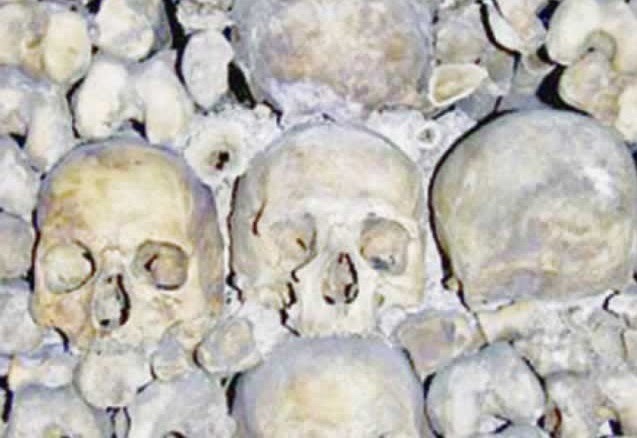 Investigations of mass graves for criminal purposes need to ensure that they form the first step in a continued effort to provide families with information, identification and return the human remains,” Klinkner pointed out in an article written for our magazine. It is time for the Government of Sri Lanka to take up this issue as one of their priorities to help the relatives of the victims find justice. We appreciate the government’s recent announcement addressing the conduct of the investigation, but it should not be a part of the same hide and seek game which the government has engaged in during last few decades to cover-up their crimes against humanity. There are local forensic officials who are able conduct independent investigations if the government or the international community is willing to arrange the required facilities. Sri Lanka is indeed an Island of mass graves. 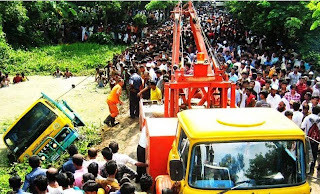 And today, Sri Lanka is undergoing tremendous upheaval and chaotic social disorder, where the basic requirements of justice have been denied and replaced with political vulgarism and religious intolerance with the help of the ruling party and military. This continues to be a major challenge to overcome in conducting an authentic investigation procedure on not only the mass graves, but the crimes reported in the country’s recent past as well. The very reason the government wishes to avoid the investigation is because those who committed the crimes are now key members of the government. In this dire situation, the people in general, as well as the international community, have a role to play and a responsibility to find justice for those who were buried en masse throughout the history of the island nation. Guwahati: As the news about the killing of a young journalist by miscreants spreads, the condemnation pours on the Orissa government in central India. Orissa (now known as Odisha) thus records the first murder of a working journalist in India this year with the slaughtering of Tarun Kumar Acharya on May 27, 2014 last. Acharya, 35, who was based in Bikrampur of Ganjam district in Orissa, worked for a regional news channel named Kanak TV and he used to contribute regularly for Oriya daily newspaper Sambad. On the fateful night, he was targeted by the goons on his way to home riding his bike. Acharya died on the spot and his body was recovered by local villagers with severe injuries because of repeated stabbing with sharp weapons on his neck and head. According to the New York based Committee to Protect Journalists (CPJ), altogether 15 Journalists had been killed this year across the globe. The media rights body also pointed out that among those, four journalists namely Shan Dahar (Pakistan), Vyacheslav Veremiy (Ukraine), Pedro Palma (Brazil) and Gregorio Jiménez de la Cruz (Mexico) were murdered in 2014 with clear anti-journalism motives. Days back, Acharya prepared a series of stories relating to the local cashew nut processing factories deploying children as workers. Moreover he was vocal against few powerful individuals in his locality, which is around 120 km away from Bhubaneswar, who made social nuisances time and again. The media fraternity of Orissa has already demanded the police to nab the killers and urged the government to adequately compensate the victim family. Even after the victim family members named few suspects in FIR, the police remained reluctant to arrest anyone till the third day of the incident. After the local journalist fraternity in Orissa, the Journalists’ Forum Assam (JFA) also expressed shock at the brutal murder of Acharya, who left behind his wife, a minor girl and old parents. The JFA, in a statement issued by its president Rupam Barua and secretary Nava Thakuria, demanded the culprits to be booked under the law immediately and adequately compensate the family. The JFA urged the Orissa government led by Naveen Patnaik to take serious note of the incident and punish the perpetrators. Extending moral supports to the local journalists for its further course of actions in this regard, the JFA also appealed to the Orissa based civil society and advocacy groups to stand behind the bereaved family at this time of crisis. Meanwhile, National Union of Journalists (NUJ) has raised the demand for a Central Bureau of Investigation probe into the gruesome murder of a brave journalist. NUJ secretary general Prasanna Mohanty expressed dismay that the Orissa police were yet to nab the culprits. He finally asserted that Acharya’s murder has shown the insecurity the Orissa based working journalists are facing today. Voices of protest were also raised by various political parties of Orissa. They unanimously called upon the government for stringent actions against the culprits. A petition asking for a high level inquiry into the incident and ample compensations to the bereaved family has also been sent to the National Human Rights Commission. The petition, filed by a group of human rights defenders, also advocates for a special law to safeguard the working journalists on duty across the country. 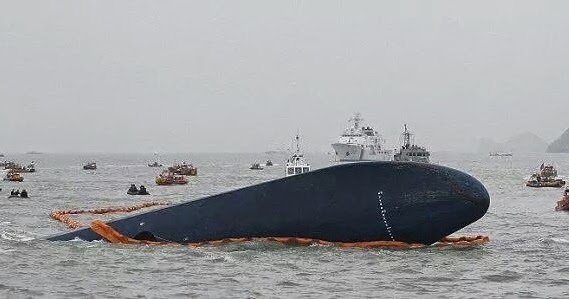 Ansan City, South Korea - It was quite terrible and the worst maritime tragedy in Korean history which took place on April 16 in Southwestern Island of Jindo, South Korea. A Sewol passenger ferry boarded 476 passengers, including 275 high school students and 14 faculty members, bound for Jeju Island resort for field trip sank and overturned. The nation is in a state of shock due to this shocking tragedy. The sub-captain was in command of the trip and it was learned that he had changed the direction of the ferry. According to reports, at about 8:50 in the morning of April 16 it started sinking. The ship also reportedly carried about 180 vehicles , according to the initial investigation of Coast Guard. It was also believed that a strong wave of nowhere cause the ferry to capsize right after it sank. Prior to the sinking, the passengers heard a sudden loud noise or a big explosion. The travelers said they were told to stay in the ship but they noticed that the ferry was about to sink, baggages and trash cans were floading, women screaming, sea water started floading to the ship. Unexpectedly, within two hours the ship almost submerged. The 6,825-ton MV Sewol ferry was travelling from the port of Incheon, Northwestern part going to Southern part of Jeju Island resort. Of 476 passengers, 275 of them were highschoolers from Danwon High School, Ansan City. One of the victimsinside the ferry was able to send some messages to his mother “ Mom just in case i can'tsee you again i just want to say i love you,” he said. His mother without knowing what was happening replied, “Of course i love you too my son.” Hence, these messages are drying the heart of the Korean people mostly the parents of victims. Moreover, based on reports, the main captain was on leave on that unfortunate day and replaced by his co-captain identified by surname Lee when the ferry terribly sank and completely submerged in 30 meters deep water. Another initial report of the Coast Guard was that the direction of the ship had changed. Of 475 passengers aboard, 275 were students from Ansan City high school intending to go to famous Jeju Island for a trip. There were almost 300 casualties and 18 are still missing as of today which made the family and relatives of the victims filled with anger with the inefficient outcome of search and rescue operations and the mishandling of government's response of discharge. The way of rescue operation and evacuation were severely criticized. Meanwhile, professional divers were trying great efforts for the passengers trapped inside the ship and the US navy also sent a ship to join the search and rescue operations. Recently, there was a street joint rally made by some civic groups, including the family of Sewol ferry victims near capital Seoul, to expressed their agonies with the poor action and government's mishandling of the sunken ship. There were only 172 survivors from the Sewol ferry before it sank. One of the survivors, a vice principal of the said school killed himself due to guilt or remorse as he left a suicide letter for he wrote that he wanted still to be a teacher for the lost students, he likewise accepted the fault by admittinng he was the brain of the field trip. The police said there were about 10,000 protesters joined the rally in Seoul Plaza, infront of the City Hall. Meanwhile, the down-to-earth Korean President, Park Geun-hye, directly apologized to families and relatives of the victims, despite receiving severe criticism from various civic groups due to government's poor performance on the submerged Korean ferry. Unpleasantly, she had also been seen in the place where the ship capsized right after the tragedy as the entire nation' s people are mourning, in deep grief and anger. The emotional and agonized President of the most advanced- nation delivered her intended speech in tears on live national television just recently concerning the botchy rescue operation of the passengers which caused at least 286 passengers dead and 18 were still missing. In conclusion, the sinking of Korean ferry was accidental and occured unexpectedly but the leader of the Korean nation was worstly condemned amid negligence on the part ship's management and there were persons at fault to be blamed and facing severe punishment. On the contrary, the Filipino nation and other nations have not forgotten the victims of nearly 10,000 people more than 6 months ago who have died and missing in horrific nightmare due to super storm Haiyan which lost the lives of children,poor and innocent people of the land without the compassion of the Aquino government and his allies that after a day or two survivors have nothing to eat but ransacked and loothed some foods just to survive from the killer hurricane, as politickings and partisans are more important for our leaders than serving the people of the nation. The peoples movement in India have lost two great fighter friends with the untimely demise of Fr. Thomas Kocherry of National Fish workers' Forum ( NEF) , India and Sunil bhai of Samajbadi Jan Parishad. The PPSS offers deep condolences to their families and the struggles they had been leading till the end came. Undoubtedly they represented strongest voices for people's right over natural resources and were a great source of inspirations to our struggle for the last nine years. You may know that the water resources department had approved of this proposal in 2006. Accordingly, POSCO had decided to lay a pipeline from Jobra in Mahanadi to draw 125 cusec water to the proposed plant site. Under the leadership of PPSS, an organization named Hansua Bachao Sangram Samiti (HBSS) was formed in 2010 and strongly protested this move. Due to the strong voice of protest coming from different sections of the society, the government was forced to withdraw this proposal. Presently, the HBSS is mobilizing people for a public protest covering the affected areas of the six blocks of Cuttack and Jagatsingpur district namely Raghunathpur, Tirtol, Biridi, Jagatsignhpur, Balikuda and Ersama. More than 3000 acres of irrigated land will be seriously affected. Mean while our villagers have exercised their democratic rights peacefully after nine years. In Dhinkia Panchayat the villagers recorded one of the highest polling turnouts in the state Assembly election—92 per cent. The other two gram panchayats Nuagaon and Gadakujang, recorded around 85 per cent polling. Large numbers of residents voted to teach the ruling BJD party a lesson. The polling booth was open with a condition that other than home guards, no police and government officers will be allowed to enter into our villages.